We raised $10 for Bringing Judaism to Life!! Your support allows us to provide an ever widening circle of people on the Shoreline with opportunities to deepen their connection to their Judaism. It might be our annual Jewish Festival on the Guilford Green, a Torah class, a home cooked dinner in the sukkah, a Chanukah party, a High Holiday service, a Passover seder, a one-on-one counseling session, a Shabbat evening, or a visit to a loved one in the hospital or hospice. People walk in to discover family, community, acceptance, and a warm, unconditional welcome. No judgments, no barriers, no strings. We don’t do it alone. We ask you to partner with us in this meaningful work. Your support creates an extended family that rises above the differences of socio-economic backgrounds, capabilities, political beliefs, and religious affiliation. It can be done! You are doing it here. Thank you for joining the effort to spread goodness, community, and the light of Torah across the Shoreline! PS We have included some recent thank you notes we received over Chanukah. Chabad of the Shoreline’s programming is funded by your generosity, so you should consider each thank you as addressed to you personally. This was our first time attending the menorah lighting and Chanukah party on the Branford Green—and we are glad we did! In the wake of the Pittsburgh shootings, I realized that this celebration was the antithesis of the evil we have been witnessing. I see that when others target us for being Jewish, we proudly proclaim our faith. When others try to silence us, we sing aloud. When some people spout anger and hate, we share joy and love. Your visit to my father in Branford Hospice on Chanukah was very much appreciated. It was so moving when you said the Shema prayer, and then he woke up and joined in. Dad has been sleeping most of the time, so I feel that this prayer spoke to something deep within him. You talked about G-d’s love and protection and the soul’s eternal existence. While Dad may not have been conscious enough to comprehend your words, I was. And it brought me great comfort. Thank you for the menorah, and I will be in touch with you as things develop. This letter is long overdue but we have finally settled into our new home in Florida. There will always be a place in our hearts for the Yaffe family and Chabad of the Shoreline. When we first met my knowledge of Judaism was pretty much limited to knowing that I was Jewish. It was such an eye-opener to learn what Judaism had to say about parenting and creating a Jewish home. We began to study Torah and to increase our practice of Judaism. It’s hard to believe that was over 14 years ago. Thank you for the time you devoted to us and our Jewish lives over all these years. We will miss you guys! You are an important part of this picture. Your donation helps create all these experiences. Chabad of the Shoreline is funded by local donations, and we need your involvement. If you could help us with a generous donation, it would be greatly appreciated. Thank you for joining the effort to spread kindness, community, and the light of Torah across the Shoreline. 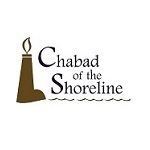 I would like to receive news and updates from Chabad of the Shoreline by email.